A car crash is a terrible experience and is often accompanied by serious injuries, damage to property and death. 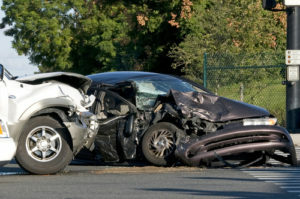 If you or your loved one has suffered an auto accident in Fullerton and would like to see this handled properly in accordance with the rule of law, you would need to hire the expert services of an auto accident attorney in Fullerton. Rawa Law Group is a law firm centered on providing legal services to persons in such dilemma. Our law firm is rich with experienced lawyers who are relentless and aggressive to help make your claim stick to win you the compensation you deserve. We cover all important areas to ensure no stones are left unturned and offer you a personal, one-on-one legal experience. With lawyers of tremendous experience, Rawa has a combined experience of over 55 years and have retained our position as a superior 5-star law firm. Working with the team at Rawa Law Group sees that your quest for a top-rated accident attorney in Fullerton who would help you seek closure and a decent compensation for your pain and suffering following your accident comes to fruition. With over a decade of providing stellar legal services, we are ready to assist you to fight your fight, giving it our best to ensure you go home victorious. The best part is you don’t have to worry about paying for our legal services before we commence handling your case. In fact, you only pay for our legal services once we have won you that case. Book a free consultation today.